Disclaimer: compatibility between signs constitutes only a small part of the characteristics of the couple's relationship. Indeed, it would be nonsensical to claim to be able to assess two persons' compatibility, or the lack of, on the sole position of the Sun in the sign where he is found in their astrological charts. However, for some reason, it is obvious that certain signs get along better with some other signs. We provide here a short synthesis of compatibility basics. Its level of accuracy depends on how strongly your Sun sign is emphasized in your natal chart. Our indications are given for a woman's chart. For a man, the meaning is quite the same, except that it is exactly the other way around. So, it is very simple to adapt our texts to the opposite gender. And don't forget to take a look at our advanced advices about astrological compatibility, at the free Love test and of course at the famous free CeleStar. One last detail: does a zodiacal sign get along well with itself? The answer is not necessarily positive, contrarily to what one might think at the outset. The place where the Sun is posited expresses a will, a need for self-assertion, and some sort of authoritarianism; wills of a similar nature may clash in spite of the fact that they can understand each other. Therefore, harmony is uncertain and depends mainly on the remainder of the partners' natal charts. Nevertheless, compatibility is usually good, although not as much as in the case of complementary signs. 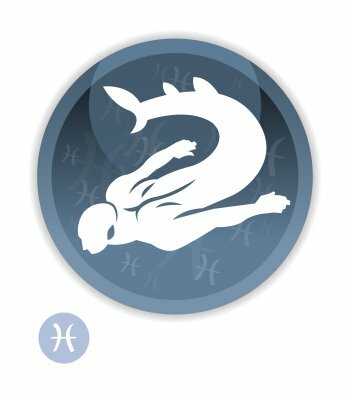 Miss Pisces, you will be very often attracted to men who have the Ascendant or the Sun in Virgo. Their nature is so deeply anchored into concrete things, and their attention to details is so extreme that it is certain that they will offer you all the indispensable and complementary elements you need in order to harmoniously control your specific nature that is very generous and whimsical. In addition, you will be able to properly run the home you will set up with them. You will get along very well with Cancer and Scorpio men because they belong to the same Water element as you, and they are affective signs like you. You understand each other without using words, and you have the same surges of mystical feelings. Cancerians will offer you the protection you need, whereas Scorpios will offer their ardour and the delights of the forbidden fruit. Taurus men will also arouse your interest. You appreciate their warm personality and their benevolence. They will stir up such a powerful enthusiasm in your heart that they will make you feel that your dream has turned into tangible reality. You equally appreciate Capricorns' capacity to master all concrete and practical matters. They are at the same time deep and patient. Therefore, they are able to understand you and that weird side of yours, which they find so attractive, precisely. There is a danger that conflicts will crop up with Gemini and Sagittarius men. Geminis are not sentimental enough and do not let their heart rule their head. Therefore, they tend to consider you as an extraterrestrial alien. Sagittarians are so active and adventurous that they are not able to understand the reason why you don't translate into concrete reality the projects you cultivate in your heart. They will get impatient and will grow weary. What about the four other signs? To tell the truth, you must bear in mind that adjacent signs have nothing in common. 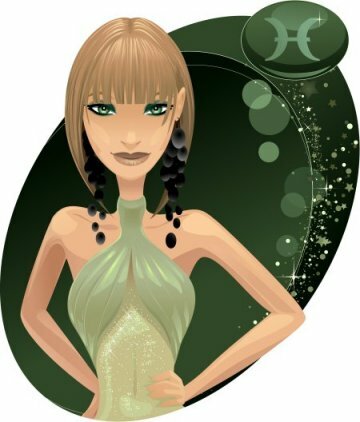 Thus, the relationship you may experience with Aries and Aquarius men will be… a bit neutral, neither good nor bad, and certainly nothing nasty. Arians are probably too impulsive and off-hand, whereas Aquarians are likely to be too curt for you. Leos and Libras stir up in you blended feelings of warm curiosity and natural distrust. Leo men are not discreet enough, and so self-assured, whereas Libra men are so refined and so concerned about appearances and proprieties that the outcomes of the challenge seem quite uncertain! Here are a few famous people with the Sun or the Ascendant in Pisces: thousands of celebrities with the Sun in Pisces, thousands of celebrities with the Ascendant in Pisces! To access our statistics and visualize natal charts, the easiest way is to use the Celebrities, Statistics and Planets page.